The Angry Birds franchise is seemingly everywhere you look these days, but one place it wasn’t present up until this point was Samsung’s Tizen OS. That all changes now with the launch of Angry Birds on Tizen. The game can be downloaded from the Tizen Store, which can be found on the Samsung Z1 – the only smartphone running Tizen at the moment. 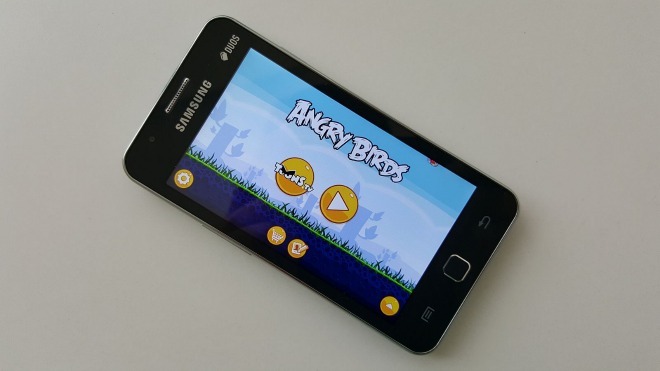 Angry Birds for Tizen is in fact an Android app, made to work on Samsung’s OS thanks to OpenMobile’s ACL technology, which enables exactly this – Android apps on Tizen. The game in the Tizen Store is the equivalent of Angry Birds version 5.0.2 for Android. While the original game supports in-app purchases, this doesn’t seem to be working on Tizen. Reports have it that gameplay is pretty good, but there’s some overall sluggishness on the account of the low-end hardware that’s inside the Samsung Z1. Anyway, one could say that Tizen has grown up now that Angry Birds is available for it. Then again, with just one device out there, it’s hardly an OS to seriously consider at this point.